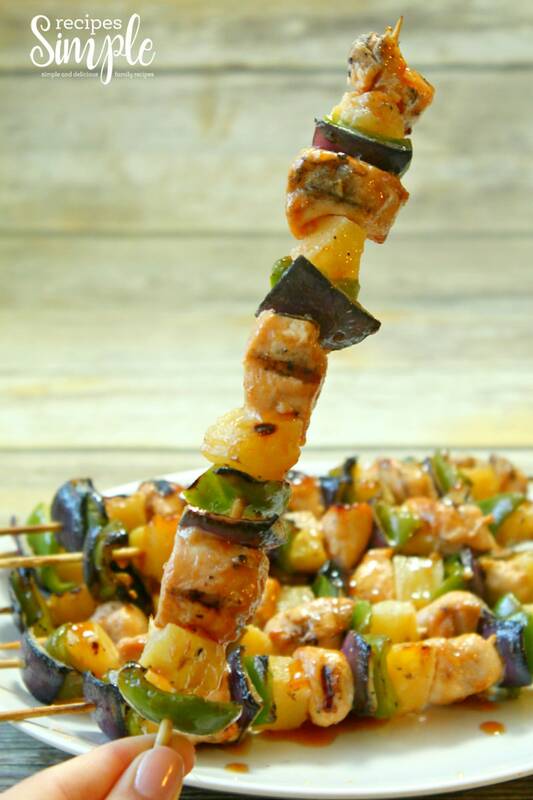 Hawaiian Chicken Kabobs are perfect for summer grilling and they are incredibly delicious! The most amazing tasting homemade marinade sauce gives them so much flavor. 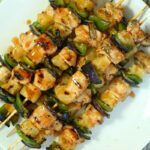 These chicken kabobs are so good with fresh pineapple, green bell peppers, savory red onion and the best homemade sauce. They are perfect for grilling and entertaining. Keep it simple and serve them with a crisp side salad and fresh fruit for a quick and easy dinner. I love having easy to prepare summer meals that we can throw on the grill. And these are one of our favorites. 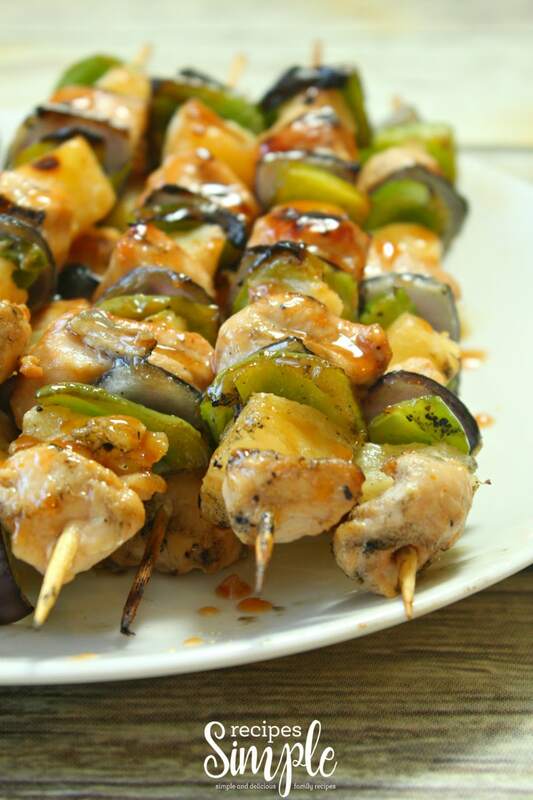 Hawaiian Chicken Kabobs are perfect for summer grilling and are incredibly delicious! The most amazing tasting homemade marinade sauce gives them so much flavor. Combine pineapple juice, ketchup, soy sauce, brown sugar, 2 tablespoons of olive oil, rice vinegar, ground ginger, minced garlic, and sesame oil in a medium bowl and whisk until smooth. Transfer cubed chicken to a large Ziploc bag and pour half of the marinade into bag. Refrigerate for at least 1 hour and soak wood skewers in water for 1 hour as well. 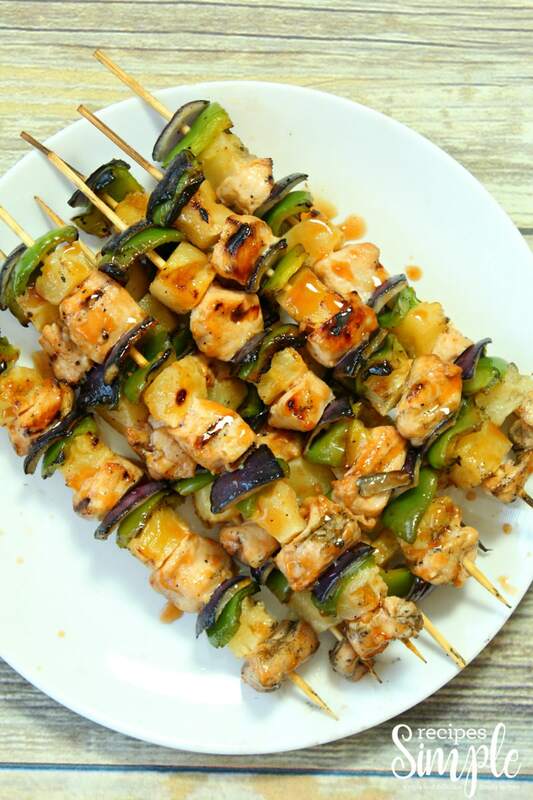 Toss diced vegetables and pineapple in remaining olive oil and assemble skewers by alternating between chicken, red onion, bell pepper, and pineapple. 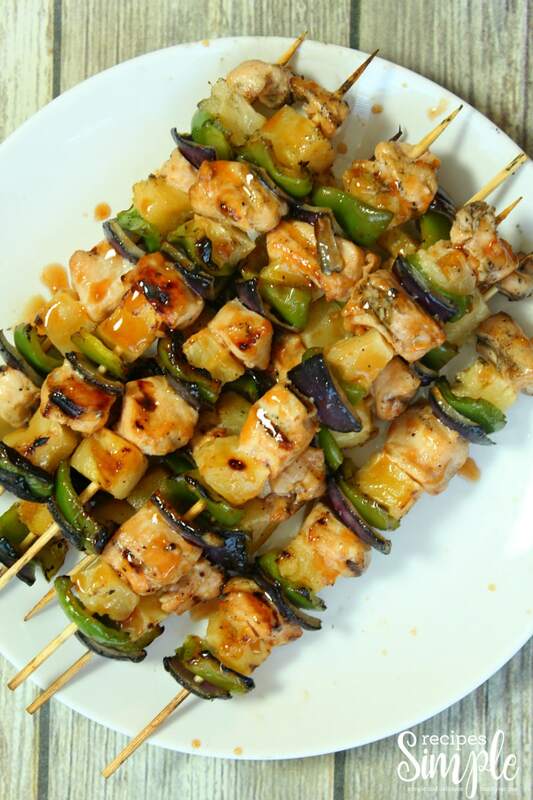 Brush prepared skewers with remaining marinade and grill over medium heat until chicken is fully cooked. Flip and brush on more marinade after 5 minutes. You can use Stainless Steel Kabob Skewers if you prefer.